A Grade 6 class from Eliot River is doing an acts of kindness project during the month of December. The teacher hopes to take the focus off of getting and do more giving. Grade 6 students at a Cornwall, P.E.I., school are taking on a special assignment this year, doing random acts of kindness as part of a class project. The students at Eliot River Elementary are doing three different acts of kindness throughout the month of December. They then write about their acts and share it with the class. They've discussed helping family, their school or their community. "I think for the kids it just gives them a wider perspective of the need to give at Christmas time and not just receive," said teacher Allyson McCarron. "To make them aware of things that they can do that are simple that make other people smile. Every day the students are coming in and talking about what they've done." Students have come up with a wide range of ideas from making cupcakes, or hand made cards to just sharing a kind word with someone. 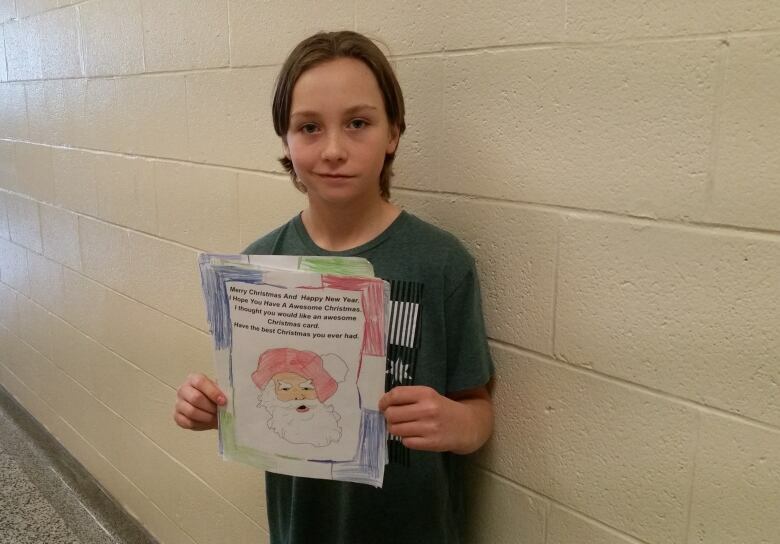 Hayden McKenna made some cards to give to a local seniors home. "I just felt like it, I just want to be nice," McKenna said. "It says, 'Merry Christmas and a Happy New Year, I thought you would like an awesome Christmas card.'" McKenna said it felt nice to do it. 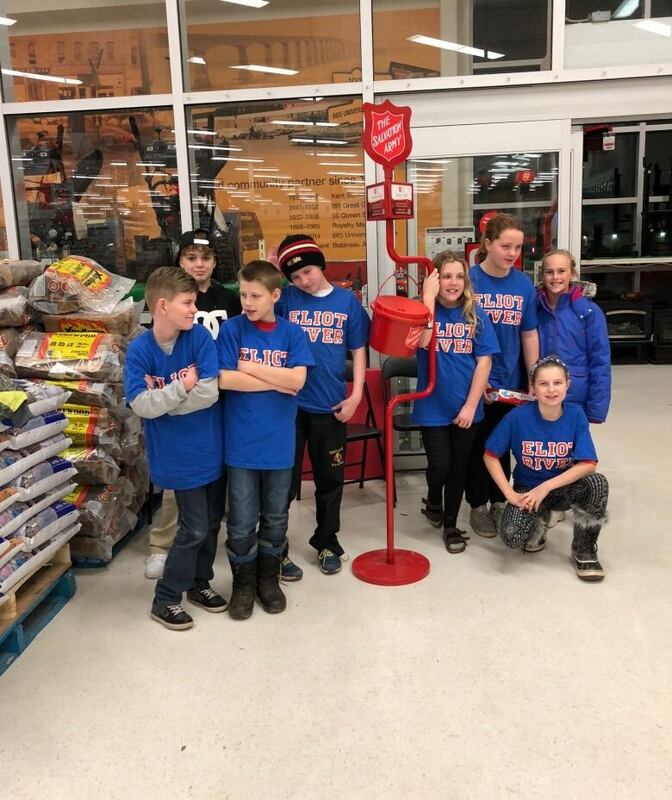 The class had heard through a CBC story about how the Charlottetown Salvation was short on Christmas kettle volunteers so the students decided to volunteer to take on a few shifts. "If someone came, we wished them a Merry Christmas and thanked them," Lilly Burnley said. "It was fun." Burnley said since the class began the project, she thinks more about being kind. "It makes you feel really good, and makes other people feel really good," she said. Major Daniel Roode, who is responsible for the Salvation Army in Charlottetown, said when the students stepped up, it made a tremendous difference. "It's a great way of learning and teaching values of giving back in the community," Roode said. Roode described the young students as enthusiastic volunteers. 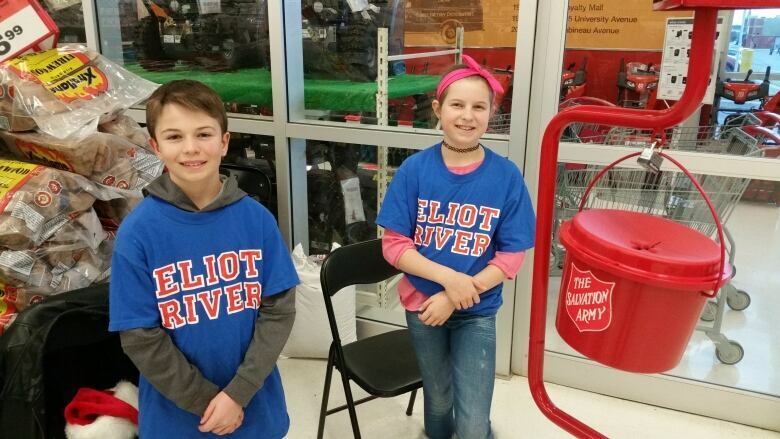 "People were just getting a real kick about seeing these kids so excited about volunteering at a kettle," he said. Their teacher said although the students had originally committed to half hour shifts, they ended up staying not wanting to leave. At one time there were eight kids hovering around one kettle. "It was very heartwarming, not just for the kids, but for a lot of the donors walking by," McCarron said. And, students such as Callie Harding also felt good about giving back to the community. "It just felt really good to help people that really needed that help," Harding said. 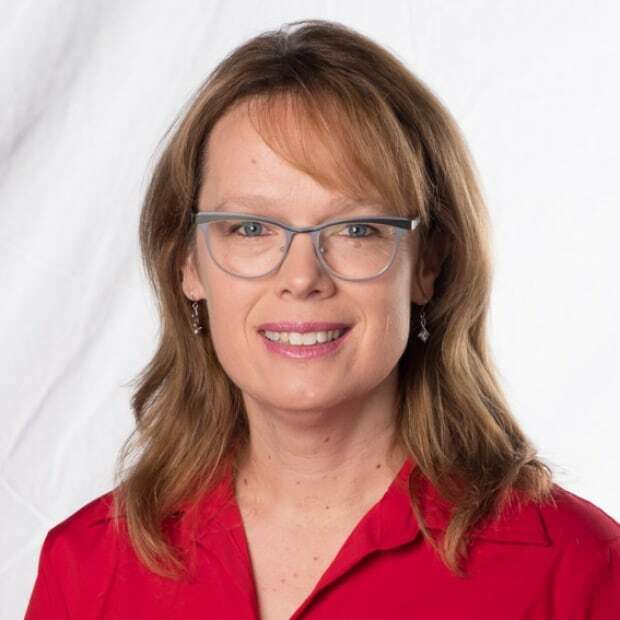 Laura Meader is a video journalist for CBC P.E.I.